Are you looking for end of tenancy carpet cleaning services in Bromley? All Gleaming Clean are the team to call. We perform powerful and effective cleaning methods so you can avoid deposit deductions and ensure all standards and expectations are met prior to the final inspection. Our end of tenancy service is designed specifically for carpets on rented properties, and you can be confident that we have the knowledge and equipment to leave the carpets as clean as when you moved in. We are a premier carpet cleaning company in Bromley who has been in the industry since 1989. What sets us apart from other companies is that we use truck mounted systems that are 20 times more powerful and more effective than traditional portable cleaning methods. Our truck mounted units are self-sufficient since they do not rely on an electricity or hot water supply. This eliminates bulky equipment and allows our team to work faster and more efficiently. Our cleaning methods are able to eliminate dust mites and residual odours, making sure that none of these are left circulating your property. Try our services and see the difference for yourselves. We offer a free trial to show you the effectiveness of our cleaning methods. We will come over to your place and clean a small area to let you see the results.  If you are unsatisfied with our work, our trial service remains free. However, if you do wish to continue with our services, we have an introductory offer of 15% off on your first carpet cleaning service. While we are at your premises, we can also give you a quote. We will take a look at your property and identify your specifications and requirements. Want to get started? Get in touch with us today.